even more ways to get out there. Our 2014 Rocky Mountain Tour and Race Guide is now available. 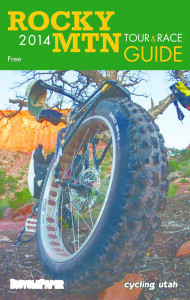 The Guide contains the 2014 Colorado and New Mexico, as well as the Utah and Wyoming calendar, tips, and other useful information. Find it at your favorite regional bike shop or download today.